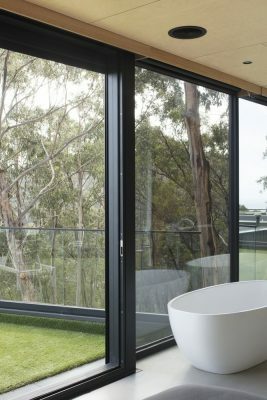 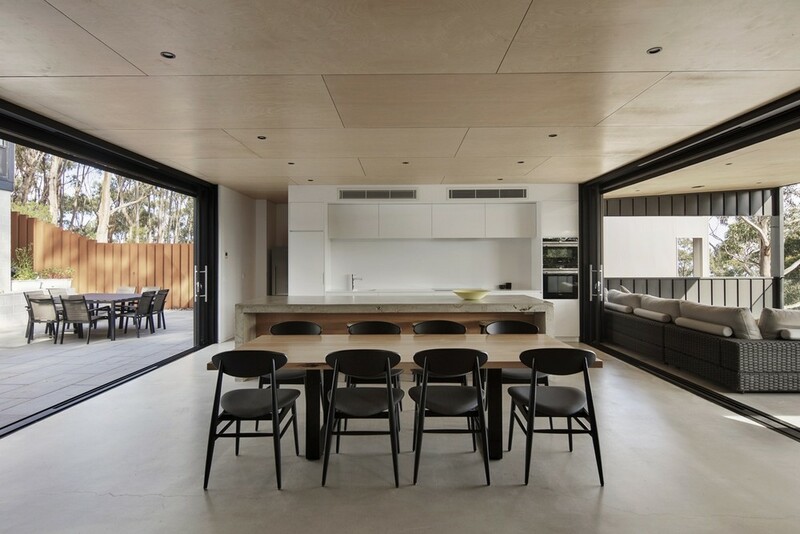 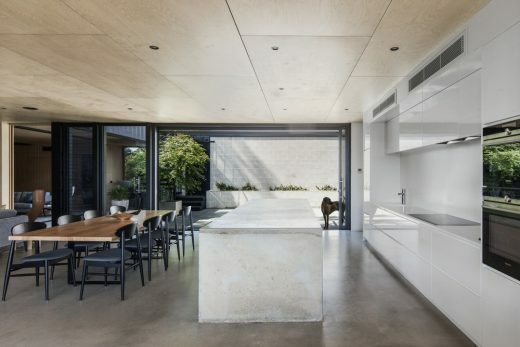 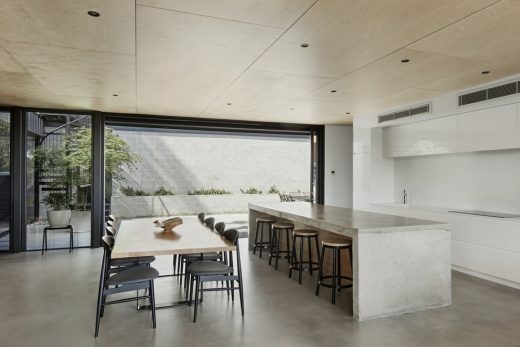 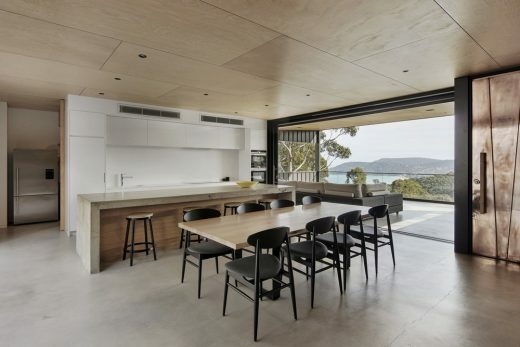 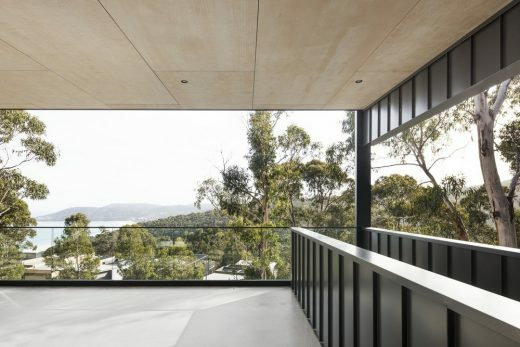 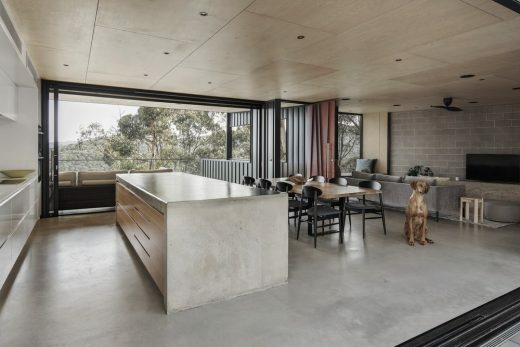 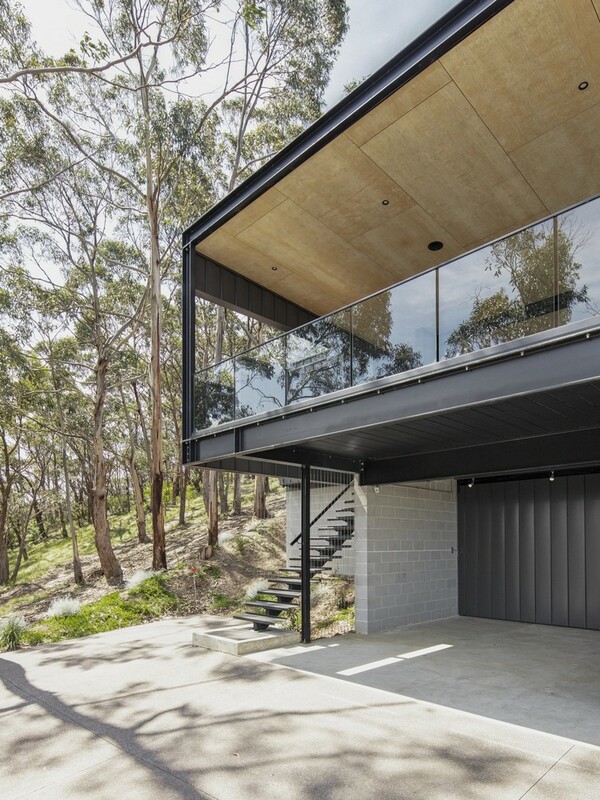 The home is located in a bushfire prone area and responds to the potential direct fire threat by providing a solid (fire-rated) interface in that location. This approach led to the creation of an insular, sheltered courtyard zone, which has the added benefit of allowing access to north winter sun in the living zones. 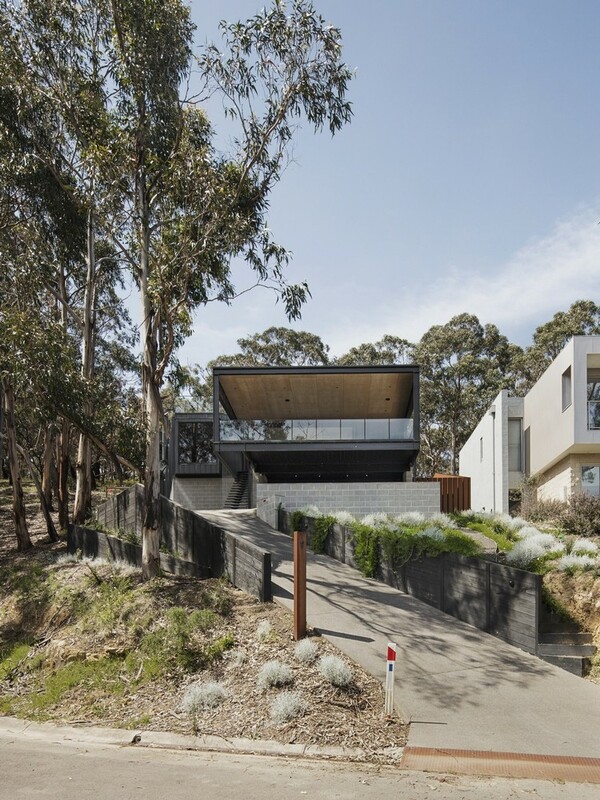 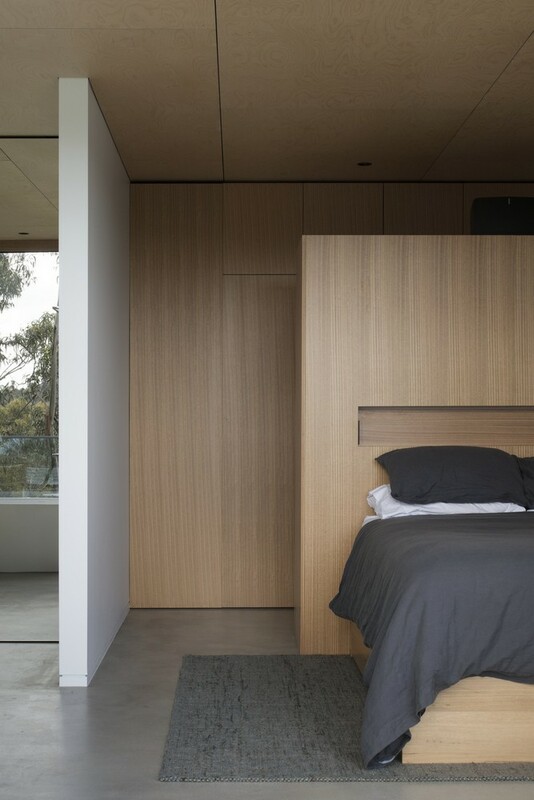 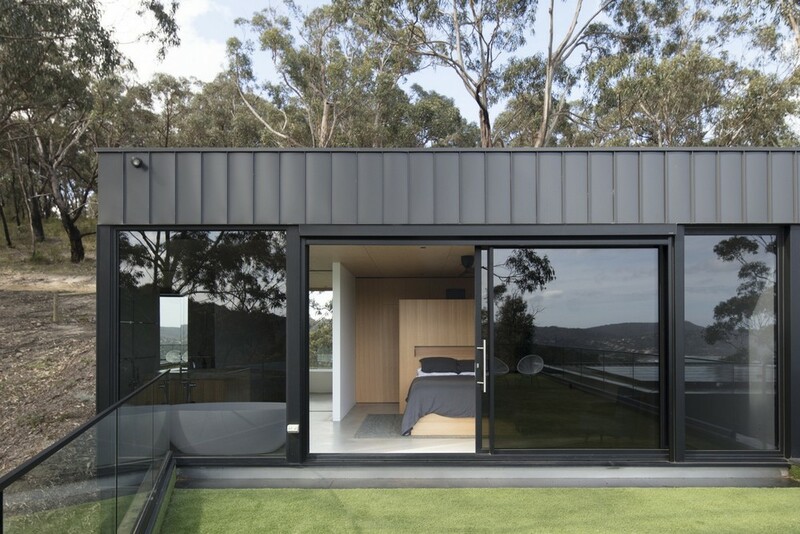 Located on a steep incline, the home responds to site constraints by stepping up the hillside, creating split level zones; carport/storage at the lowest level, living zones on the central level and bedroom zones at the highest level. 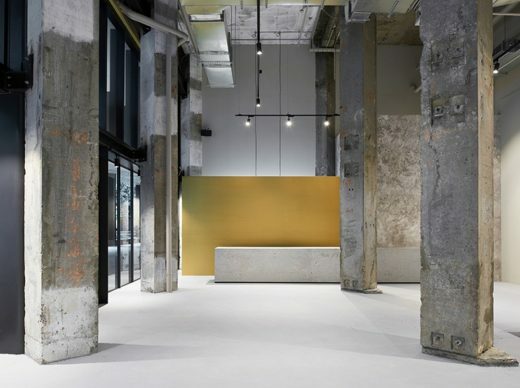 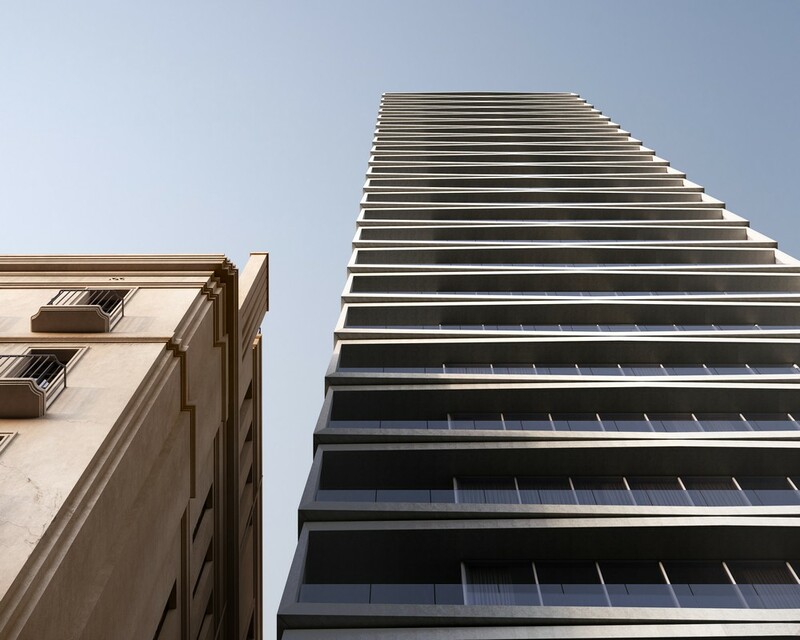 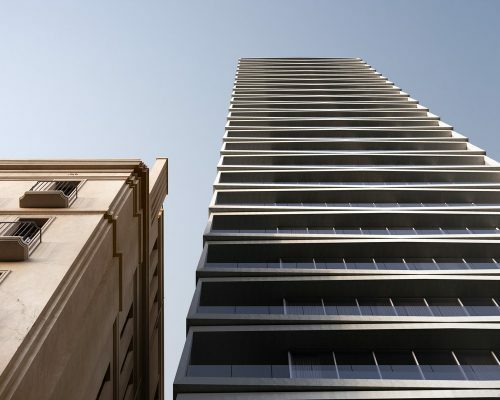 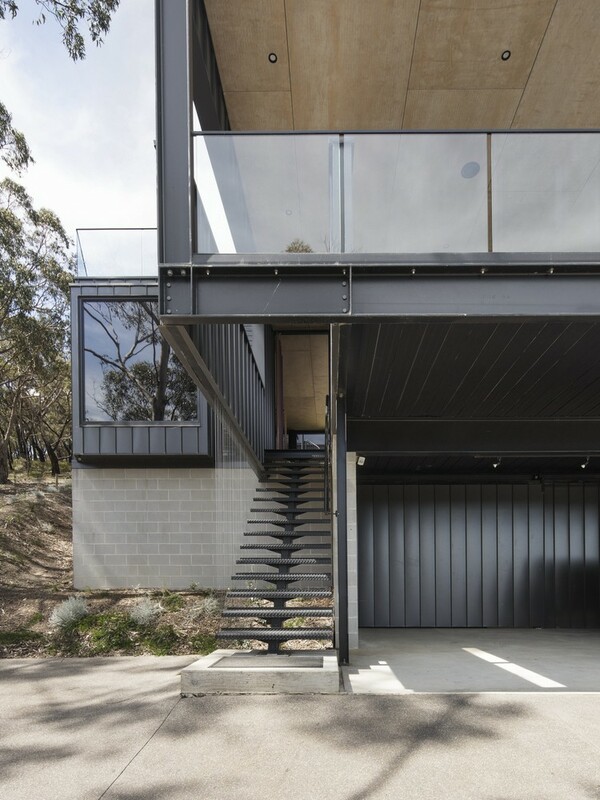 The stepped design allows for unobstructed view corridors from each level. 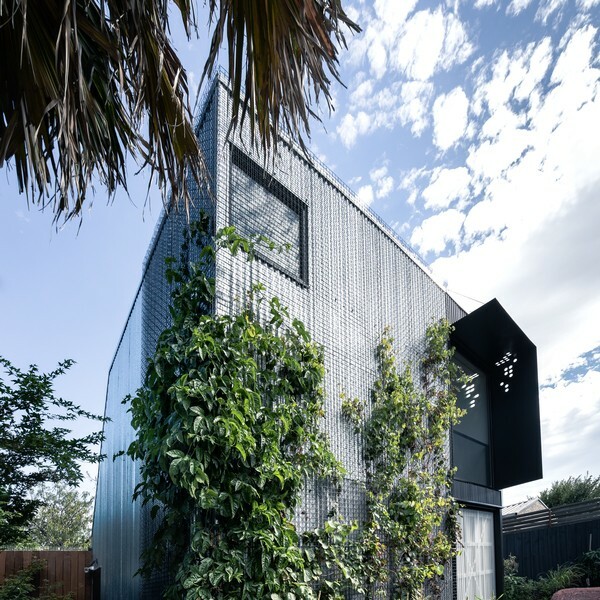 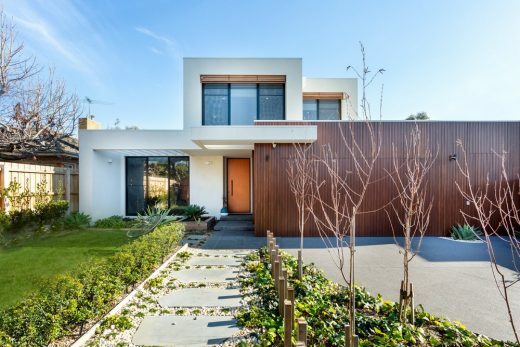 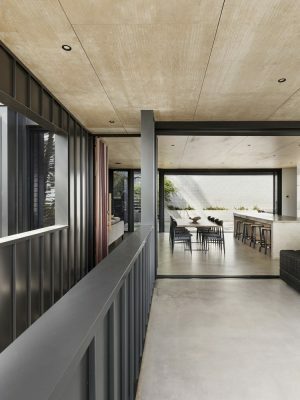 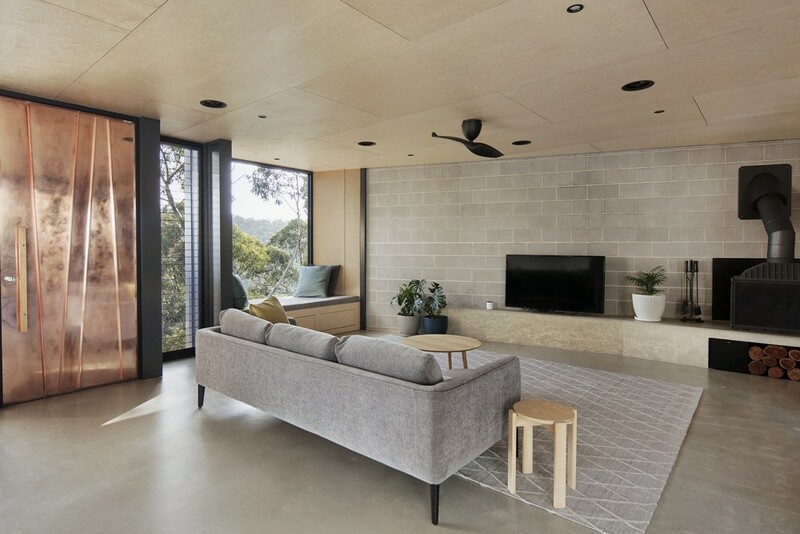 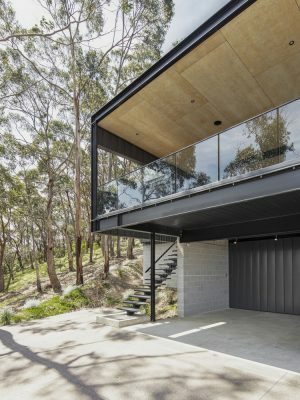 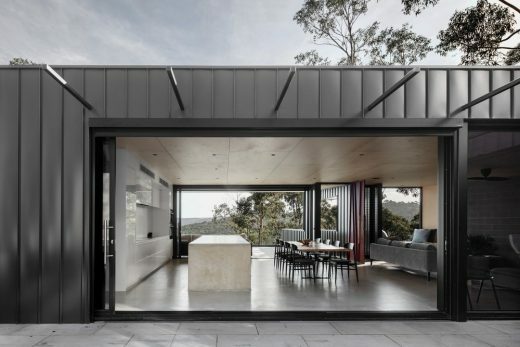 The material palette on the dwelling was selected to firstly adhere to stringent bushfire compliance requirements and secondly, to ensure that little to no long-term maintenance would be required.